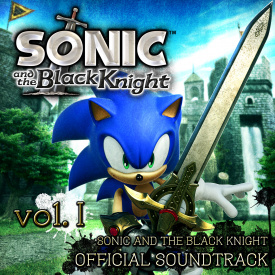 Sonic and the Black Knight Official Soundtrack is a two-volume set released digitally covering the music to the Wii game of the same name. Though the track list is similar to Tales of Knighthood: Sonic and the Black Knight Original Soundtrax, there are a handful of differences. The four additional vocal themes from Face to Faith: Sonic and the Black Knight Vocal Trax have been included, with "Live Life" replacing the shortened instrumental that's on Tales of Knighthood. Also, the final track to the physical release, "Knight of the Wind -Acoustic ver.," is missing from the digital soundtrack. This page was last edited on 1 January 2019, at 00:26.